Royal Viking Sea was built for Royal Viking Line in 1973. 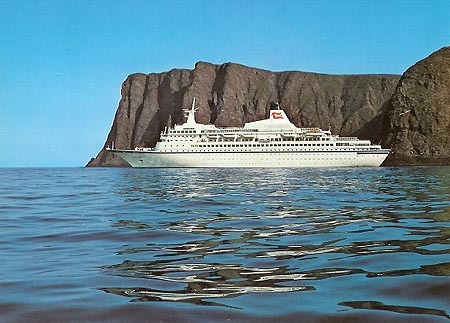 Royal Viking Sea was the second of three sisterships, the others being Royal Viking Star (1972) and Royal Viking Sky (1973). 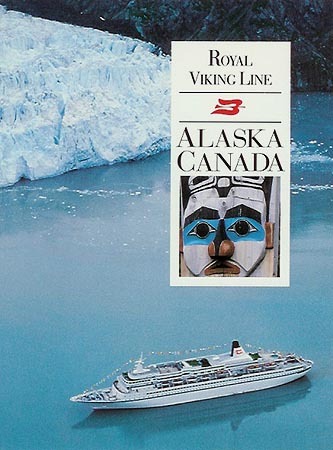 Royal Viking Line were acquired by Kloster (NCL) in 1984, and initially retained their separate identity. 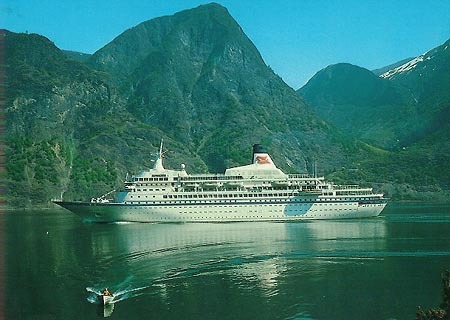 Royal Viking Sea was then transferred to Royal Cruise Line in 1990 as the Royal Odyssey (2). 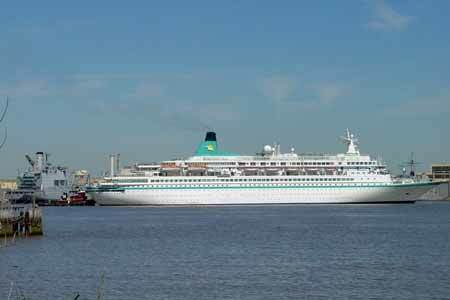 Royal Odyssey was transferred back into the main NCL fleet in 1996 as Norwegian Star. 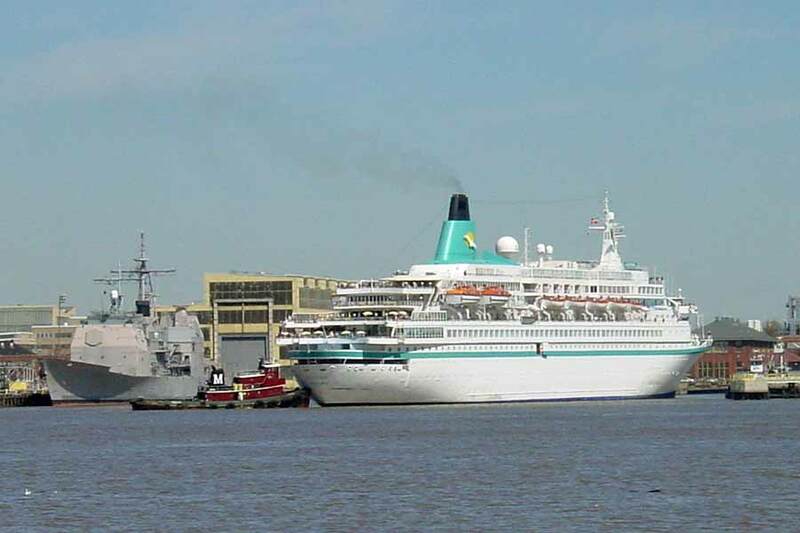 She briefly operated for the NCL subsidiary Norwegian Capricorn Line in the Australian market, and in 2001 became part of the Star Cruises fleet as Norwegian Star I, before return to owners Actinor Shipping. 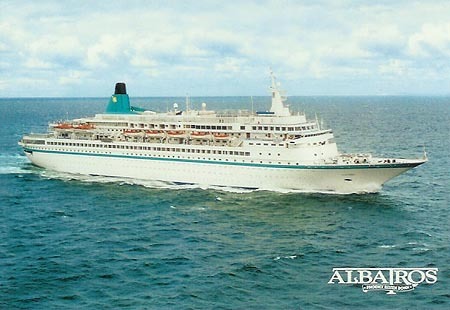 After a period laid up as Crown, she was placed on weekly cruises from Valencia as Crown Mare Nostrum for Spanish Cruise Line, by this time owned by the Dutch Cruise Club. From 2005 she is running as the Albatros (2) for Phoenix Reisen, replacing the Albatros (1) (previously Sylvania, Fairwind, Sitmar Fairwind and Dawn Princess, which was sold for scrap by owners V-Ships). Royal Viking Sea was built for Royal Viking Line in 1973. 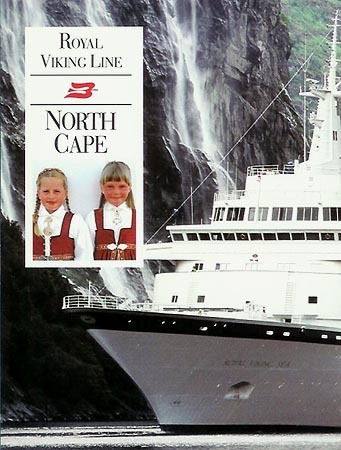 Royal Viking Line were acquired by Kloster (NCL) in 1984, and initially retained their separate identity. 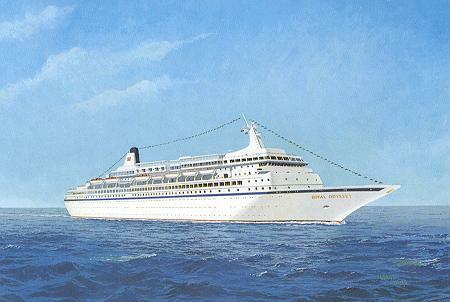 Royal Viking Sea was transferred to Royal Cruise Line in 1990 as the Royal Odyssey (2). 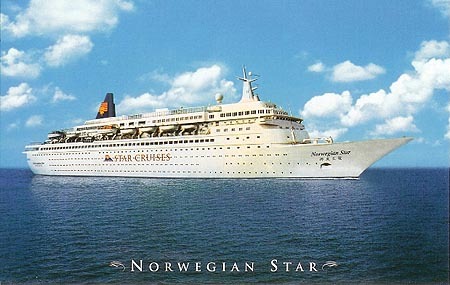 Royal Odyssey was transferred back into the main NCL fleet in 1996 as Norwegian Star. 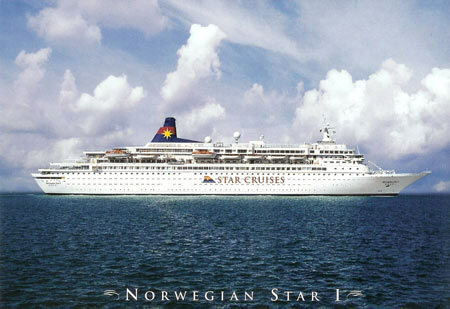 She briefly operated for the NCL subsidiary Norwegian Capricorn Line in the Australian market, and in 2001 became part of the Star Cruises fleet. Generic Royal Viking Line cards where the ship is not identified are also shown. Official oversized Royal Viking Line postcard of Royal Viking Sea. 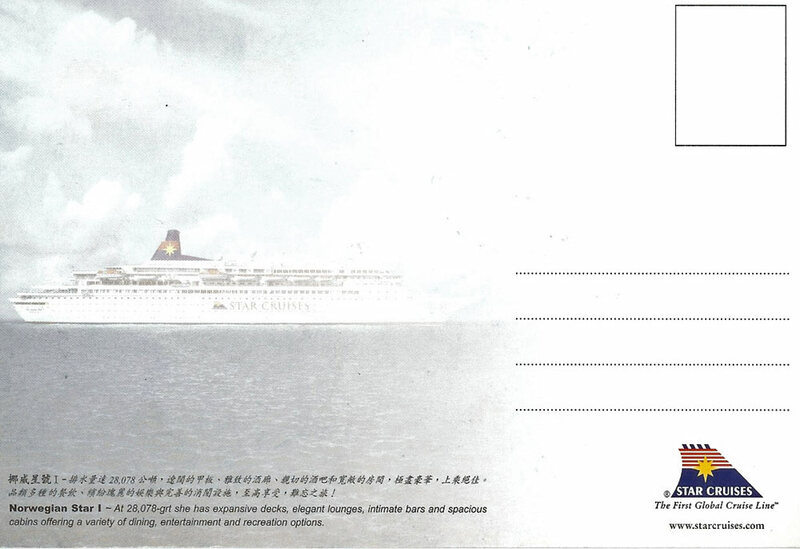 Official generic Royal Viking Line postcard after lengthening. 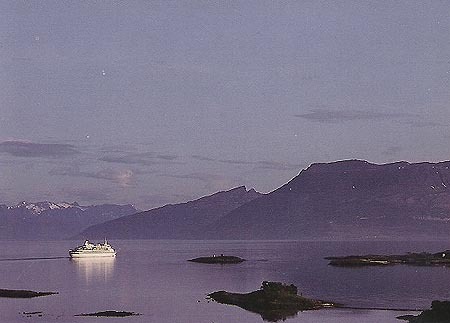 Official oversized generic Royal Viking Line postcard after lengthening. 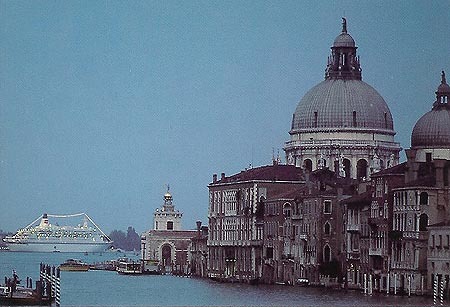 Postcards where the exact ship is not identified are also shown. Aune postcard of Royal Viking Sea, as built. Aune postcard of Royal Viking Sea, or sister, as built. 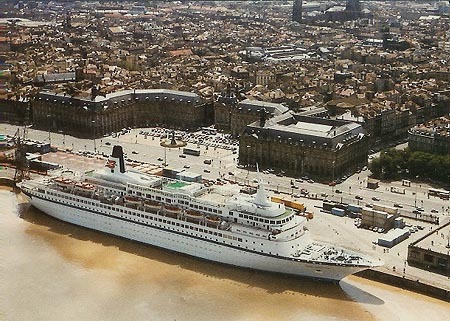 Aune postcard of Royal Viking Sea, or sister, at Bordeaux after lengthening. Royal Odyssey originally built as the Royal Viking Line cruise ship Royal Viking Sea in 1973. 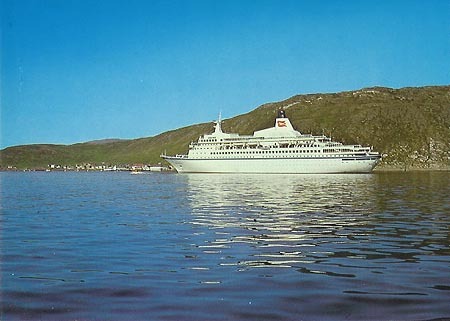 Royal Viking Line were acquired by Kloster (NCL) in 1984, and initially retained their separate identity. 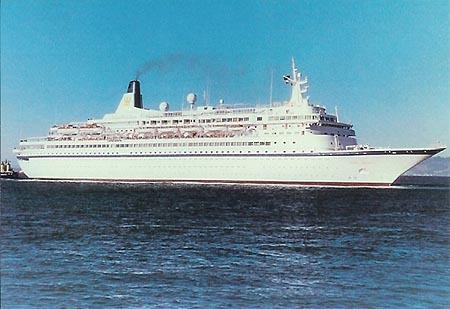 Royal Viking Sea transferred to Royal Cruise Line in 1990 as the Royal Odyssey (2). 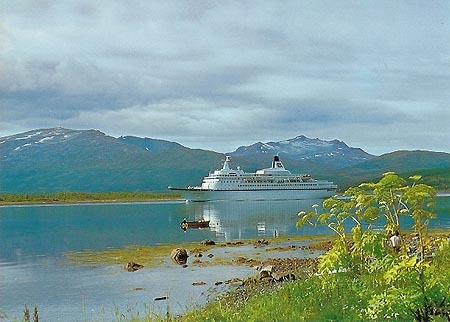 Royal Odyssey was transferred back into the main NCL fleet in 1996 as Norwegian Star. She briefly operated for the NCL subsidiary Norwegian Capricorn Line in the Australian market, and in 2001 is part of the Star Cruises fleet. 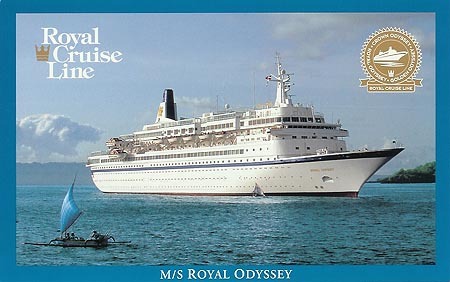 Official Royal Cruise Line fleet postcard of the Royal Odyssey (2). 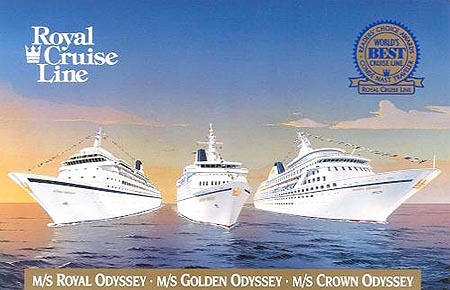 An official Royal Cruise Line fleet postcard of the Royal Odyssey (2), Golden Odyssey and Crown Odyssey. This card must have been issued in 1993-94. 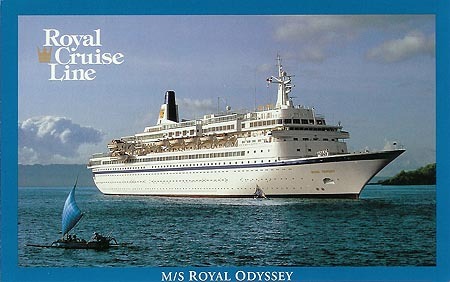 Official Royal Cruise Line fleet postcard (oversized) of the Royal Odyssey (2). Variation on the card above. 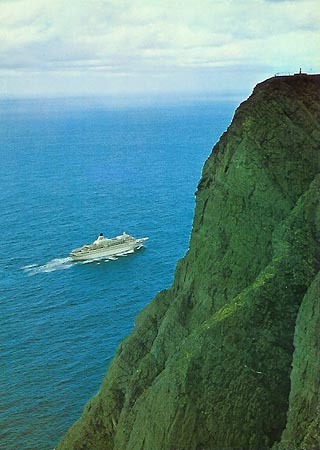 Harold Jordan's Chantry Classics postcard CC/S356 of the Royal Odyssey (2). Norwegian Star (I) was originally built as the Royal Viking Line cruise ship Royal Viking Sea in 1973. 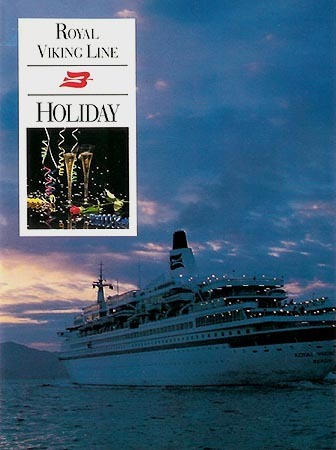 Royal Viking Line were acquired by Kloster (NCL) in 1984, and initially retained their separate identity. 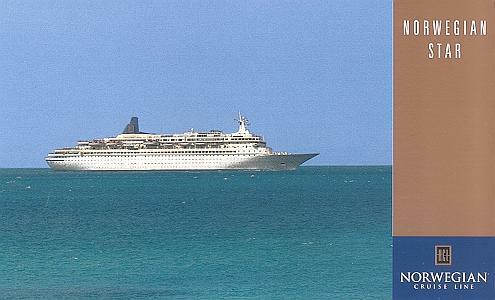 Royal Viking Sea was transferred to Royal Cruise Line in 1993 as the Royal Odyssey (II). The Royal Viking Line name was sold to Cunard in 1994. 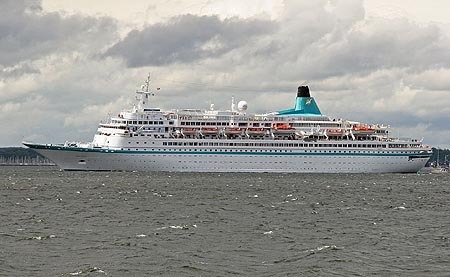 Royal Odyssey was transferred into the main NCL fleet in 1996 as Norwegian Star. She briefly operated for the NCL subsidiary Norwegian Capricorn Line in the Australian market, and in 2001 became part of the Star Cruises fleet. 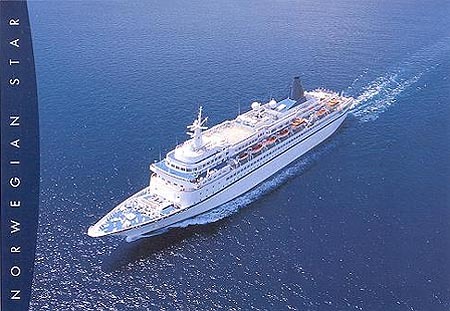 From 2005 she is running as the Albatros (2) for Phoenix Reisen, replacing the Albatros (1) (previously Sylvania, Fairwind, Sitmar Fairwind and Dawn Princess). Official oversized Norwegian Cruise Line cards are shown below. An official Norwegian Capricorn Line card. 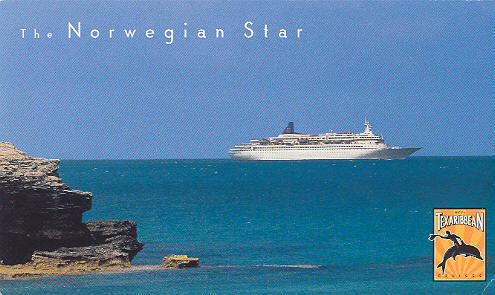 Star Cruises postcard of Norwegian Star. After a period laid up as Crown, Norwegian Star was placed on weekly cruises from Valencia as Crown Mare Nostrum for Spanish Cruise Line. 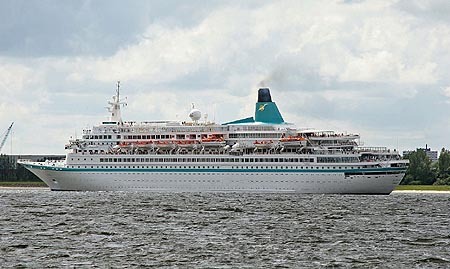 From 2005, she is running as the Albatros (2) for Phoenix Reisen, replacing the Albatros (1) (previously Sylvania, Fairwind, Sitmar Fairwind and Dawn Princess). Phoenix Reisen postcard of Albatros (2). Photograph of Albatros (2) passing Laboe. Photo: &COPY; Cees de Bijl, June 2005. Photograph of Albatros (2) at Philadelphia.